Montgomery, AL- The holiday season is rapidly approaching, and for the thousands of people in the River Region who struggle to make ends meet every day, the upcoming holiday is a time of fear and anxiety rather than cheer. For 36 years, HandsOn River Region has partnered with individuals, social service agencies and businesses to assist poverty-stricken and disadvantaged families in the River Region through the Christmas Clearinghouse. The Christmas Clearinghouse, a program of HandsOn River Region, is a partnership of social service organizations and health service providers who join to assist those in need during the holiday season and avoid duplication of giving. The success of Christmas Clearinghouse depends on the efforts of thousands of volunteers. HandsOn encourages clubs, organizations, individuals, churches, and agencies to “adopt” families who have registered for help. “Adoption” means providing gifts and much-needed items for each member of the family. Another important way the community can help is by donating directly to Christmas Clearinghouse to provide gifts for families who have not been “adopted” so that they too can experience the joy of the season. The Christmas Clearinghouse is a central file of needy families who have registered with local service providers such as the Salvation Army and Toys for Tots. HandsOn River Region staff enters registration forms into the Clearinghouse database. Some agencies can help those families who register with them. HandsOn River Region processes those names for clearing in the database to help avoid duplication of giving. Christmas Clearinghouse also records unassisted families who are not adopted by agencies or organizations into the system. 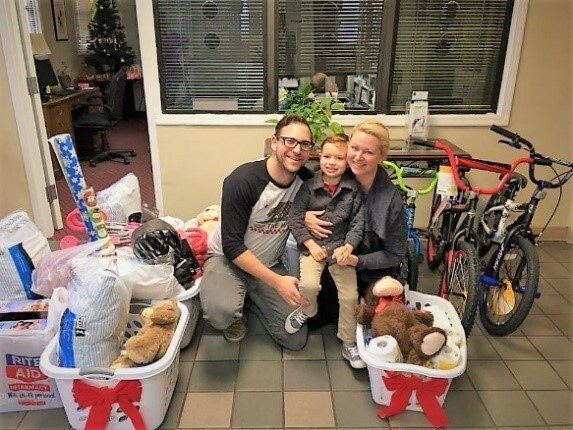 The Christmas Clearinghouse tries to assist these families through community “adoptions” made possible through fundraisers and donations to the Christmas Clearinghouse. “Through the generosity of individuals, businesses and organizations, Christmas Clearinghouse made the holiday season brighter for over 18,000 individuals during the 2017 holiday season. The Christmas Clearinghouse has created a more unified community by inspiring others to make a difference in someone’s life. When you partner with us, you spread joy to those who have lost hope,” said Tasha Cooper, Executive Director of HandsOn River Region.